You may apply for Cracker Barrel positions at its official careers site. View In-store jobs and home office jobs and apply for what you are interested in. Click the job category you want to view, all the current job opportunities are listed right on this page. Choose your job of interests to apply for. 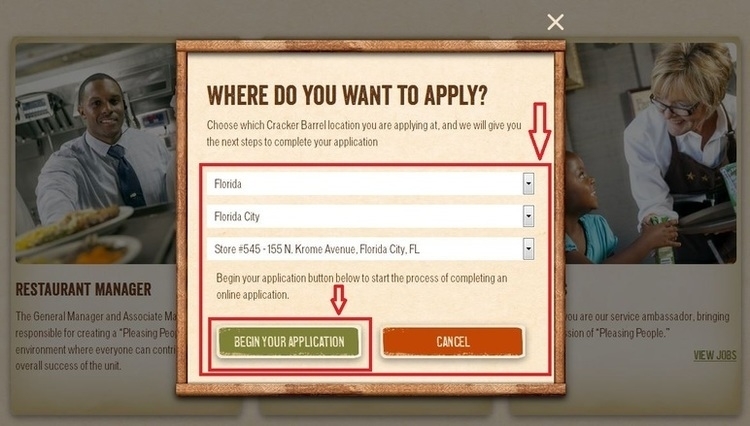 Choose a Cracker Barrel location you want to apply at by selecting state, city and street, and click “BEGIN YOUR APPLICATION” button to start your online application. Click the job title for application on the job lists, or you can search jobs at this page by entering keywords, and selecting category and location. Read the information about the job you want to apply for carefully, and click “Apply for this job online” to start. Create your candidate profile, including your resume and a login, and click “Submit Profile” to proceed your application. Follow the instructions and answer the application questions, including candidate questions, job specific questions, click the “Submit” button to continue. 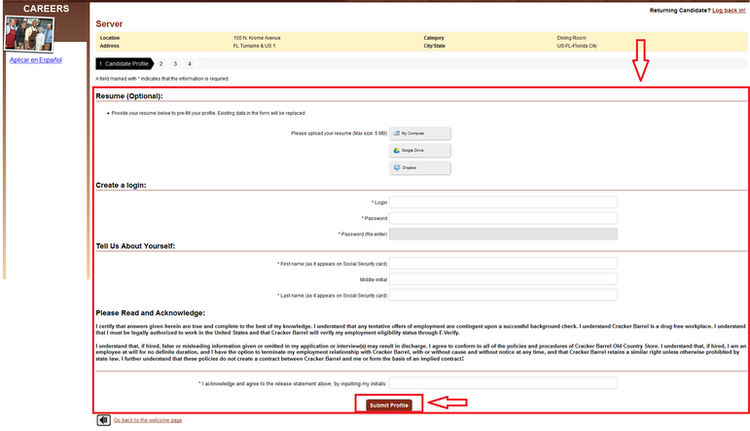 Go to external page to take an assessment, make sure that you click the “Next” button to complete the short assessment, or your application would not be considered. 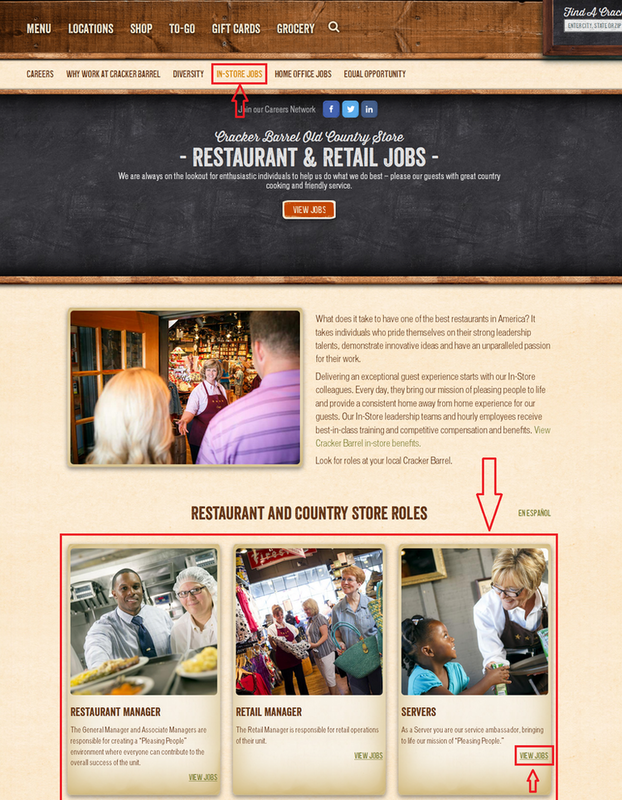 Click crackerbarrel.com/careers to apply for Cracker Barrel jobs online. Angelika Greer 2017-07-25 10:29:32 Rated 5.0 Good morning. My name is Angelika Greer . Yesterday, I applied to a Hostess position for Cracker Barrel El Paso, On Remcon. However, in the middle of the assessment, my server stopped working. Now I am back online, but I do not know how to retrieve this step. I already received an automated message that my application requires finishing. Please advise.